Creating a poster series is a handy way for artists to collaborate on a project that works together as a set, but also as individual pieces. 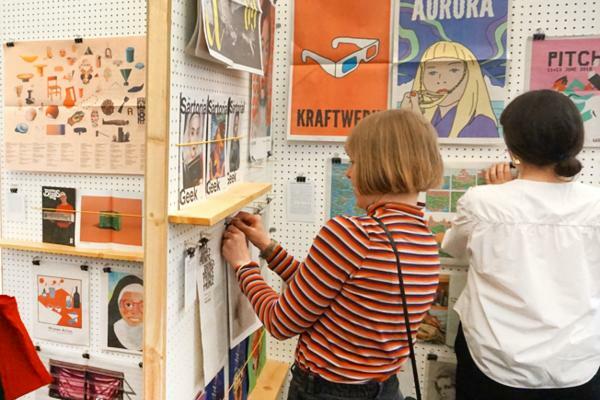 The format worked beautifully for Flumadiddle, a playful exhibition exploring nonsense, and the R29 Design calendar, which showcased unpublished illustrations from the award-winning Refinery 29 creative team. 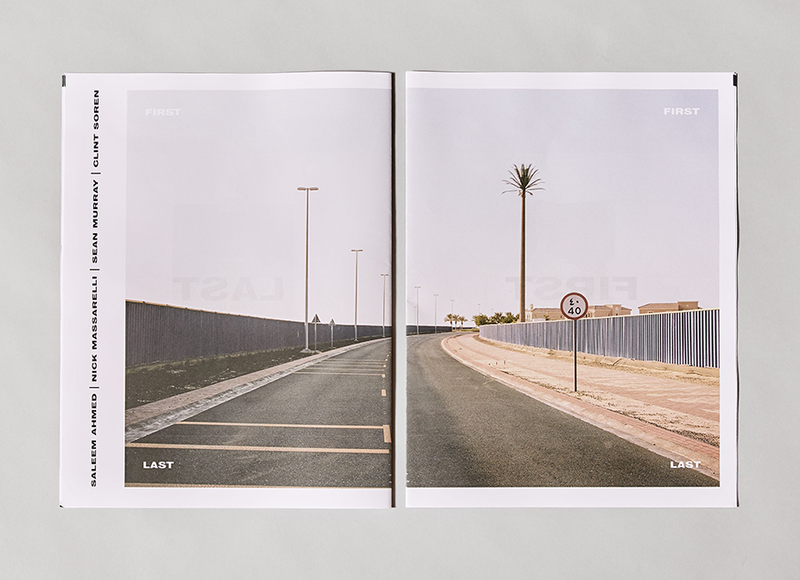 First Last, a collaboration between Sean Murray, Nick Massarelli, Saleem Ahmed and Clint Soren, is a recent example we love. 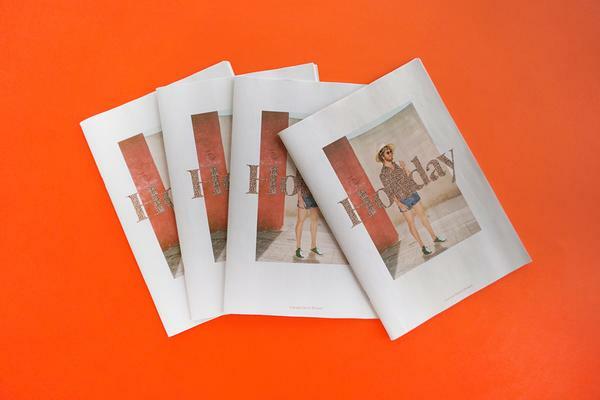 Printed as a digital tabloid, the newspaper juxtaposes understated work from each of the Philadelphia-based artists. 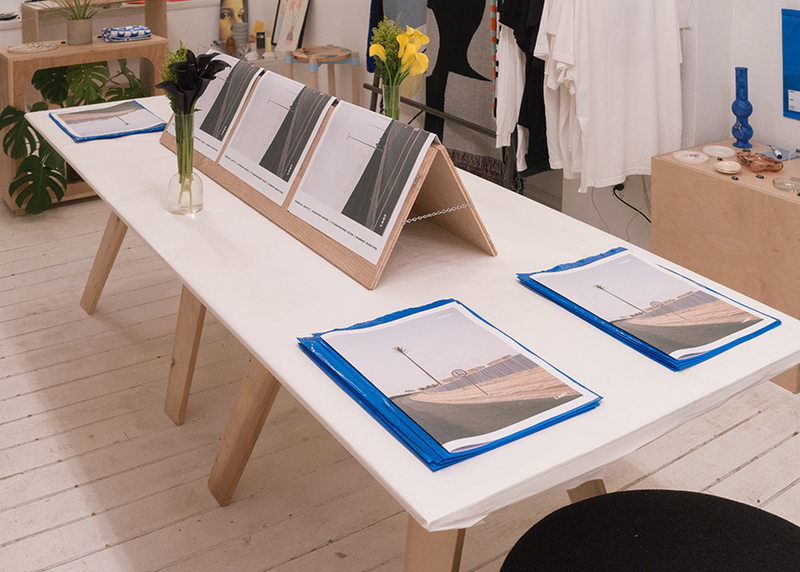 It can be pulled apart into standalone posters (shown above, at the launch party) or read as a surreal magazine. Below, photographer Sean Murray and designer Nick Massarelli tell us more about the newspaper – which sold out in one night! Could you tell us more about First Last? What was the inspiration for the project? 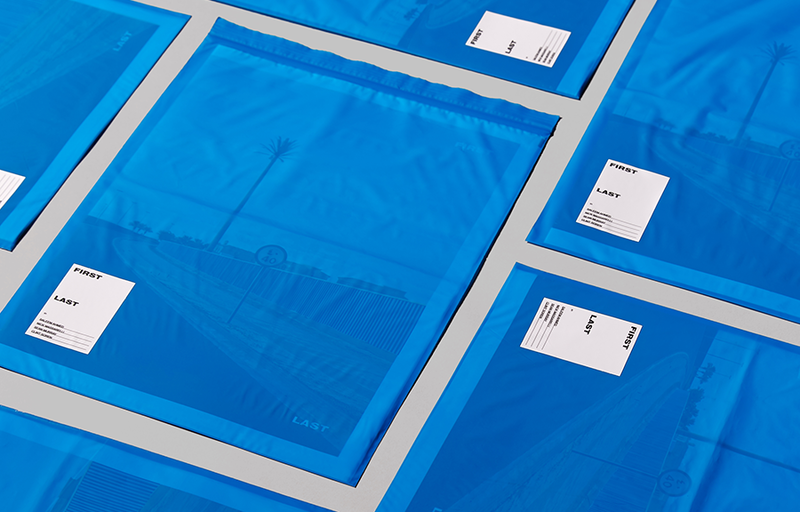 First Last is a book of 10 posters, showcasing work by 4 artists. 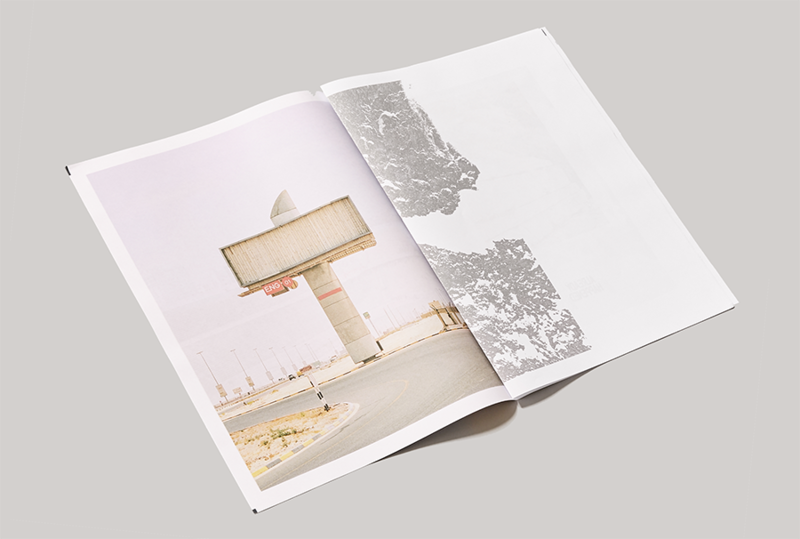 Together we (photographer Sean Murray and designer Nick Massarelli) curated and designed the publication. The other contributing artists are Saleem Ahmed and Clint Soren. Our goal was to create a series of posters that could be sold and shared as a single product. The format allowed us to add another level of complexity to the piece. Flipping through First Last gives you an entirely different experience than viewing the pieces hanging on a wall. The newspaper allowed us to play with the idea of collaboration while also having elements of individuality. The name First Last plays off of the phrase "first and last" which means "in all respects." We designed this project to bring together artists, designers and photographers who had previously had no reason to work together. Also, it's perhaps the first and last time the group ever shows work together. How did you come to collaborate with the other artists involved – Saleem Ahmed and Clint Soren? We are close friends and worked together to develop the idea, brand, and concept of First Last. It was important for us to invite people whose work we admired, but had not yet had the chance to collaborate with. It gave us a reason to reach out to new people. Saleem and Clint brought beautiful work to the book that was very unique to what we were including, and that was the whole point. What's the biggest challenge in collaborating on a project like this? It was a challenge for us to decide on who we were going to invite to contribute. We eventually landed on a very successful group that really complemented each other. 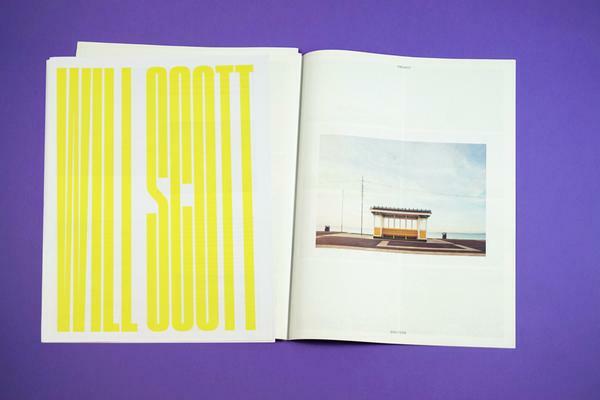 It was also a challenge to develop a brand for the book that caught people's attention but didn't overwhelm the work. Why a newspaper for this project? We knew that the book had to be big, since it was posters. We also knew that it couldn't be bound since the goal was for people to take it apart. The low cost of the newspaper format allowed us to distribute the newspapers at a reasonable cost. Lastly, we love the look and feel of the 90gsm bright stock after seeing the samples. 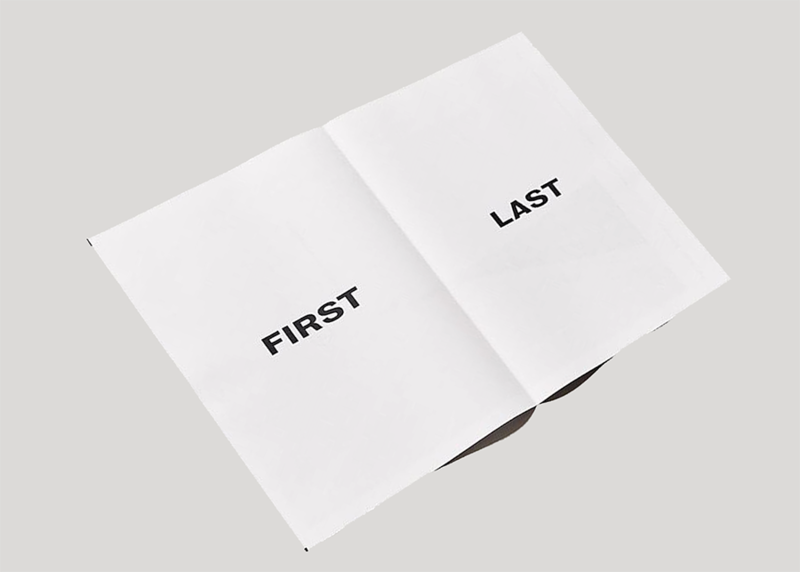 The layout of First Last is very considered – each poster works as a diptych. What was the design process like? Each artist was asked to submit a poster design (front and back). We then all sat down together and arranged the posters in a way that would create interesting pairings on each spread. Reproducing photography in newsprint can be tricky, but the colours of your images turned out beautifully. Can you share any tips for getting such a great results? 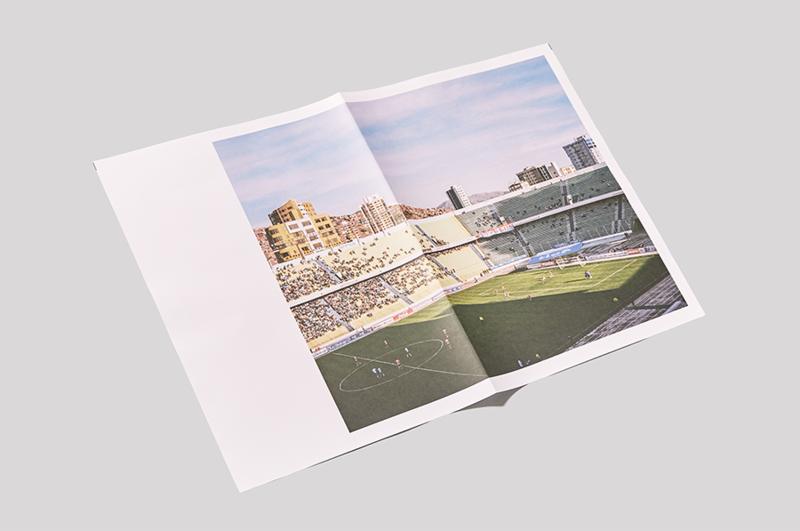 We just followed Newspaper Club's digital printing guide and were pleased with the color and image quality. What has the response been to piece so far? 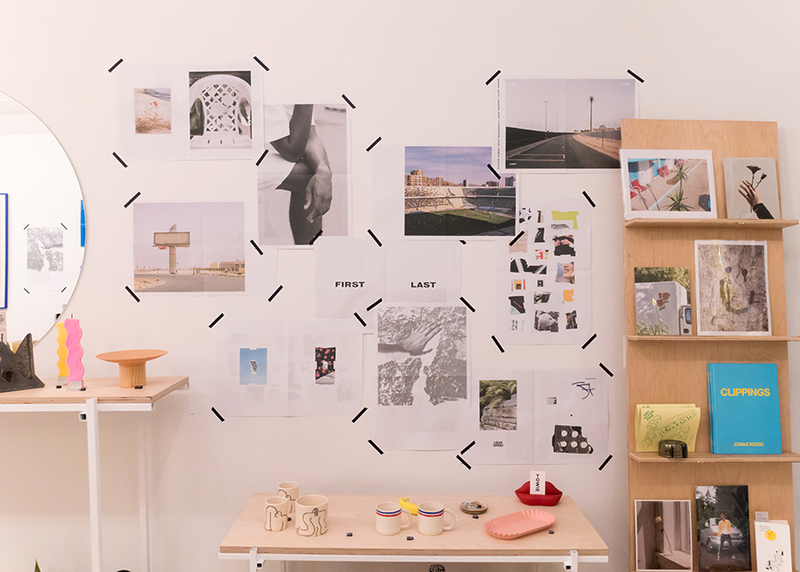 We had a successful launch party at our favorite shop, Yowie [in Philadelphia]. Shannon Maldonado, the shop owner, was amazing in helping us showcase the piece in her space. She came up with an idea to display the newspapers on a triangular A-frame that sat on a table in the center of the room – it was the perfect solution. Thanks to Yowie, we sold out in one night at the launch event. We love the packaging – can you tell us about the bright blue bags? Thank you! The bags allowed us to protect the books and add a fun brand element. They ended up being perfect since the launch party happened on a very rainy night. On my couch with a cup of coffee and plenty of sunlight. It's easy to make your own poster newspaper! Read our guide to setting up your file.